Thanks to a combination of weather conditions, debt worries, Christmas come-down, abandoning new year’s resolutions and generally feeling unmotivated by grey January, some people say that today is officially the most depressing day of the year. But there are others for whom Blue Monday is every day, with stress an everyday occurrence that leads to feelings of being depressed and overwhelmed. You only have to Google ‘stress’, and you’ll find dozens of articles and self-help guides from a plethora of reputable and not so reputable sources, as well as adverts from companies offering support or solutions. Stress is a big issue that touches everyone to one degree or another. However, it is unpredictable and can impact people in vastly different ways. Human beings have always had a stress response, activated by real or perceived danger. The original evolutionary purpose was to mobilise ourselves physically and psychologically for “fight” or “flight” when confronted by a marauding sabre tooth tiger perhaps, or a hostile caveman trying to steal our firewood. And that short term stress response is still our best friend when we are in danger, or when we need to raise our performance in a challenging situation. But for centuries we’ve had longer-term pressures to contend with, which also activate our stress response and may keep us there for some time: illness or injury, work issues, home and family problems, relationships going bad, lack of something we need. On top of all that, we’ve learnt to stress ourselves out too! We beat ourselves up with our perfectionism and our impossible expectations of ourselves and others, with our lack of self compassion and our unhelpful beliefs about how wonderful our lives should be: We mentally time travel to the past or the future, and get stuck there – usually in a negative way. Such internal or self-imposed pressures might help to drive us forward as a species, but can make us feel pretty miserable as individuals. Whilst there is a general perception that stress levels are going up, it is actually quite hard to find a conclusive evidence base for that. Reported stress levels amongst young people, students, workers and people in general are definitely on the increase, but maybe that’s because we are more willing to talk about stress in 2019, or more likely to recognise that some of our physical symptoms such as blood pressure, headaches, muscle tension, digestive problems or insomnia can be stress related. However, I think most of us share some intuitive sense that life is getting more stressful, and that the psychological and physical impact of all that stress is getting more profound and worrying. 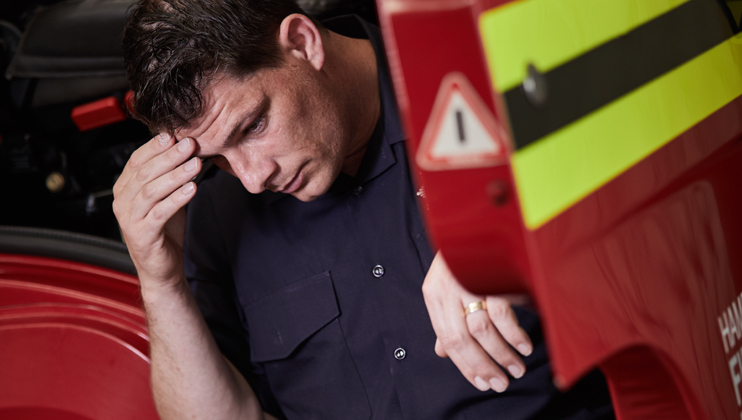 The truth is, many of us are feeling overwhelmed, and – fact – too much long term stress makes us physically and mentally ill. Firefighting, meanwhile, features highly in most surveys of stressful jobs, due to traumatic exposure, shift work, and organisational culture and changes. I could list the possible signs, symptoms and behaviours that might indicate stress, but we’d be here a long time. We all respond to stress in different ways, and there are a myriad of thoughts, emotions, physical sensations and behaviours that are common and normal responses to pressure, and may indicate stress. You’re all perfectly capable of using the internet, so I’m not going to regurgitate a summary of what’s already out there. Whilst insomnia can be caused by any number of environmental, behavioural or physical reasons that have nothing to do with stress, the combination of stress and shift patterns can play havoc with our sleep patterns, and sleep disturbance is often an indicator of stress. Sleep is not a bedfellow we should ever take for granted. If you want sleep to jump into bed and curl up with you, you have to show how much you love it! Seduce sleep with hot baths, relaxation, camomile tea, reading something boring, lavender pillow sprays, yoga – whatever works for your particular sleep sprite – and don’t indulge in the behaviours that you know will drive sleep away, like exercising or eating too late, overdoing the alcohol or caffeine, or taking work or laptops into the bedroom. Anger is a natural emotion when we’re stressed, and drives our “fight” response – very helpful when we’re wrestling with that firewood-stealing caveman. But when you want to rip the head off ‘white van man’ who just cut you up on the roundabout, or you find yourself yelling at the kids because one of them didn’t screw the lid back on the milk, well maybe that’s a sign that your stress levels are too high and you need to find ways to relax and bring them down a notch or two. More on relaxation later. 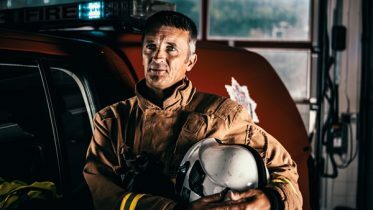 Maybe it’s because firefighters are natural “rescuers,” and don’t feel they have any business getting stressed or overwhelmed like a normal person; or maybe the perceived expectations of a firefighter to be fearless and strong can be a struggle to live up to when you’ve got a lot of personal stuff going on. As a result, there may be a reluctance to acknowledge that life is getting stressful, and asking for help feels like a massive personal failure. Some might try to deal with those feelings by blaming others for their problems, whilst others turn those feelings inwards and feel ashamed or weak. A sense of identity as a ‘rescuer’ is not helpful if it doesn’t allow you to accept that you are human, sometimes vulnerable, and deserving of help from others: That doesn’t make anybody a failure. Firefighters don’t wear their hearts on their sleeves as a rule, and that’s probably a good thing most of the time! However, if we don’t give ourselves permission to express our emotions, that doesn’t mean the emotions go away – it just means we put a lot of energy into keeping a lid on them. When we have a lot of pressure in our lives, or if we have been through a challenging transition like retirement, the effort to keep that lid screwed down becomes more difficult. We can experience ‘leakage’ – that is finding ourselves experiencing intrusive thoughts or suddenly getting emotional and tearful when our guard is down. To our horror we may start crying watching DIY SOS. Getting a bit tearful doesn’t have to be a problem in itself of course, but it may be a sign that you’re stressed. We need to confront and talk about how we feel. Who relaxes when they’re running from a Sabre toothed tiger? You’re not supposed to relax when you’re in Fight or Flight mode. As the tiger closes in, you’re not going to be looking forward to an evening reviewing your stamp collection, or doing a spot of yoga, or whatever it is you normally find relaxing. When you’re stressed it’s innately natural to feel like you can’t be bothered to do the things you would normally find enjoyable. This is a real catch 22, because if your stress levels are high then relaxation is key to bringing them back down again. Giving in to the instinctive urge to cancel all relaxing activity so that you can focus 100% on your problems is understandable, but not helpful. Relaxation is important for your mental health, and you need to work out what you find relaxing, and then make time to do it. Hobbies/activities take time and a bit of effort, so it may feel far easier to crack open a bottle of wine to get that instant “chill out” feeling. Most of us enjoy a drink from time to time, but if you notice your alcohol consumption creeping up, if you’re feeling a little guilty about it, or if you suspect that next time your GP asks you how many units you consume a week your answer is likely to be around 50% of the true figure, maybe that’s an indicator you may be using alcohol as an unhelpful coping mechanism for the stress in your life. Admitting that to yourself is the first step to finding more healthy ways to cope with or reduce your stress. Feeling like you can’t be bothered to see people, making excuses to stay at home, and not returning phone calls? We may feel that we’re not much fun at the moment, or we might not want other people to notice that we’re struggling, so it’s easier to withdraw. It’s important to resist that urge to isolate yourself: We are social beings, and we need to get together to connect, talk and laugh. In that way we help each other to relax and manage our stress. The stress hormones that mobilise us for fight or flight will also funnel our thinking patterns – they will focus our concentration on what threatens us, persuade us to assume and prepare for worse case scenarios (known as ‘catastrophising’), and make our thinking patterns very polarised and reactive. There is no point blaming ourselves for having these thoughts, they’re chemically driven and we can’t control them. What we can do is recognise that these negative thoughts are stress related, and challenge them. Talking about them can help get us back into a more rational and positive frame of mind, and using relaxation and mindfulness practices can help us learn to ‘observe’ our negative thoughts and feeling without getting lost in them. These are some of the most common indicators I have noticed, but there are many more. Stress is a real problem but we all have to learn to manage it and develop healthy coping strategies, and be prepared to reach out for help when stress gets overwhelming. At The Fire Fighters Charity we’re committed to helping our beneficiaries however we can, whether that’s through inviting you to attend one of our programmes or just offering general advice, information and support. 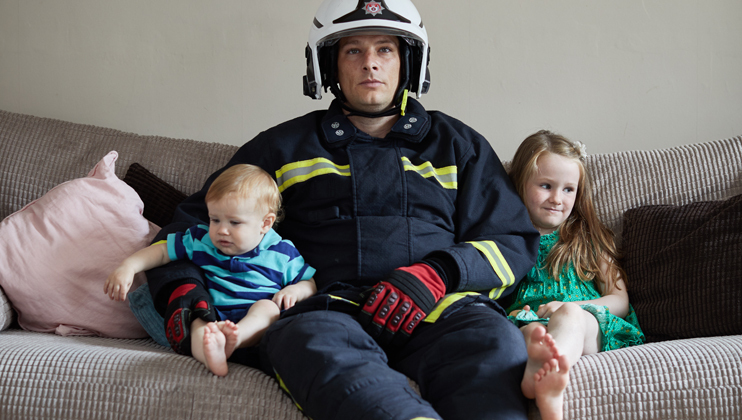 If you’re living with stress and think you could benefit from a conversation with The Fire Fighters Charity, get in touch with us, to we can see how we can help. Take care of yourselves out there. It’s a wonderful – but stressful – world! Are you experiencing signs of stress, anxiety or depression? Let us help. It's not just serving firefighters who are eligible. See if you're someone who could benefit. 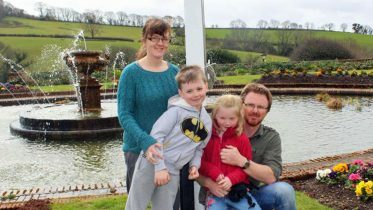 Hear from other beneficiaries who felt overwhelmed by life and sought out support.